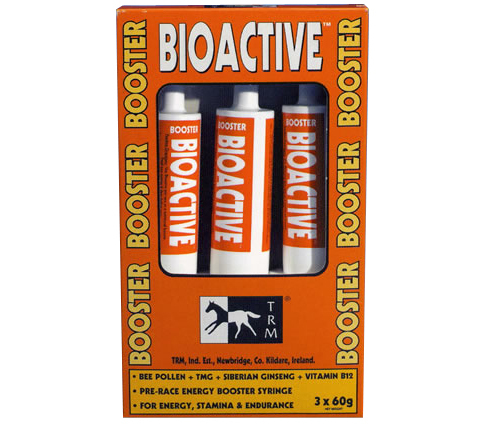 Bioactive is great as a pre-race energy booster which comes in paste form for easy administration. Bioactive is a combination of naturally found raw materials. Each ingredient is chosen because of its individual energy and vitality giving properties. With the combination of Bee Pollen, TMG, L-Carnitine and Vitamin B12 Bioactive will help your horse go the extra mile.